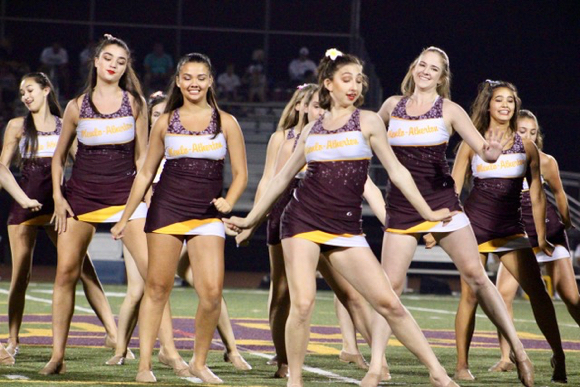 Five seniors — Olivia Bloom, Grace Geiser, Kaley Garrett, and twins Lara and Sofia Karadogan — who have performed together on the Menlo-Atherton High School dance team for all four years, will be dancing in their last performance at the annual M-A Dance Team Show and Fundraiser, on Thursday, April 5, at 6:30 pm at the Menlo-Atherton Performing Arts Center. The team performs at all home football and basketball games in the fall and winter, as well as numerous rallies and school events throughout the year. Tickets ($10 student; $16 adult) are available in advance online or at the door.